Now on its way to a million visitors! 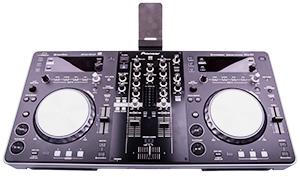 Acquris Development Media have specialized in modern sound technology with fantastic sounding microphones, mixers, PA, effects and musical instruments. We are also opening a unique possibility with our microphones. See this link for more information. 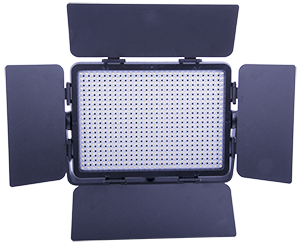 Through our many years experience with Asia, have we developed a series of professional LED-lights, stage effects, light control, lasers and much more. With other words, we can rent out equipment to any size of event, from the small gig to large concerts with fantastic lights and cool stage effects. Naturally we have through the years made very good contacts with skillful musicians, dancers, composers, and many more which makes us a complete event organizer if you want. 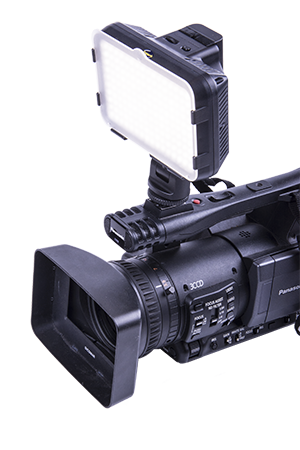 Of cause we can also video film with state-of-art equipment and do sound editing, cutting and make voice-overs on virtually any kind of video production. Moreover we also have a large section of props for stage, theater, film and TV-productions, making us one of the most complete rental companies in the business. Look through our website by clicking on the different titles and discover why we now have over 25,000! visit on our homepage per month. It doesn't matter if you are a professional or amateur, company or private citizen. Let Acquris become the obvious choice within Media and rental! If you think the homepage is good, please "like us" on the Facebook-link beside here. This years summer have been rather poor (at least in Sweden) with chills and rain. Now it seems like the weather will get better and it may arise a need for some equipment fast, either to the party, pool-party's concert or whatever. We at Acquris always tries to assist, even customers that come in very short notice. 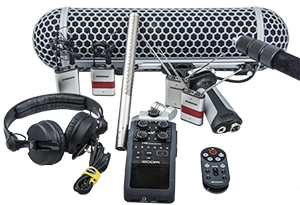 If you therefore have q equipment need, regardless if we talk one microphone or a complete PA and backline, we are there to cover your back. Call 073-7309499 and if we don't answer, leave a text message with contact information and we will get back to you as soon as possible. For one of our customers, we have developed the markets only UV-light with IP65 protection! With other words, both rain and splash proof. A powerful UV-light with "spot effect" that allows the UV-light to reach longer and neither weather or wind can stop the cool UV-effect. Unlike all other music lights on the market, whether they use LED or standard bulbs, they are based on a very rudimentary design. Power source and lamp, that's it! Music lights with light bulbs have had a few advantages but many disadvantages. Leaving aside the obvious disadvantages of broken lamps and the requirement of connection to the power grip, the main advantage is that they can be dimmed to a low level if necessary. The LED-based lamps have all the benefits that the light bulbs had as disadvantages, however they have a rather huge disadvantage. Dimming is very rudimentary, or truth be told, does not really exist. Being able to turn off a number LED's is really not dimming. After our first try with ACQ-Music Light-DUO, we have taken most of the customers and professional musicians' wishes and developed a totally new and unique product on the world market. 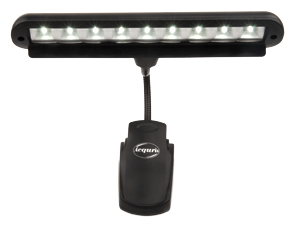 Acquris completely new and revolutionary music light, ACQ-MusicLight9-DIM. Therefore, we are proud to present a music light with everyone (and some more) of the advantages of an LED-based music light had and combined it with the greatest advantage a light bulb type music light, true dimming. Being able to use a music light with both mains and battery is also something that is common with LED-based music lights. However, we have decided to go a step further and has assembled a large rechargeable Li-Ion battery that allows up to 30 hours of continuous operation between charges. That should suffice for Wagner's ring concert. Moreover, we have chosen to let the charger function as both a charger AND and a AC adapter providing extra flexibility. For further flexibility, we have also equipped the charging cable with a standard USB connector, allowing the light to be charge just as easy from the supplied charger as from any computer. Practical and as said before, flexible. We have also chosen to allow the lights lamp head to be as wide as an A4 page and has fitted quality lenses that spread the light very evenly, without glare or hot spots, up to 4 music sheets in width. Despite the advanced dimming function, we have been eager to make the operations easy. A single button is all you need to keep track of. 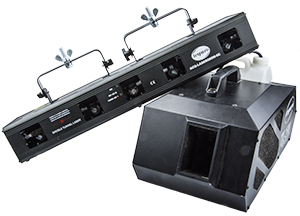 One press, and ACQ-MusicLight9-DIM lights up maximum, press it again and the brightness is halved (not by turning off half of LED's that is common among other products, but by just halving the brightness of ALL LED's. A further press, and the brightness is halved once more. An additional press and it is halved once more. In this mode, the music light can be used even if the stage and orchestra pit should be dark, still providing enough light to read the music. This allows for new possibilities in the performances. One last press and ACQ-MusicLight9-DIM is switched off. Simple and easy to understand. We have also made sure that the "gap" is extra wide and is also coated with an anti-slip rubber which allows the lights to fit snugly on virtually all music stands or binders. In addition, the spring is extra strong so it wont come off by itself. Thanks to the unique dimming function, the wide illumination angle and the strong clip, our ACQ-MusicLight9-DIM functions excellent as a book lamp without disturbing the bed partner. Our LEDs are manufactured by Taiwanese Edison that ensures nearly 100,000 hours of operating time without failure. This makes our ACQ-MusicLight9-DIM a genuine "perpetual devices', when not even the battery needs replacing. For those who don't need a pwerful animation laser, we have put together a package with our unique 5 channel laser and our Haze machine. 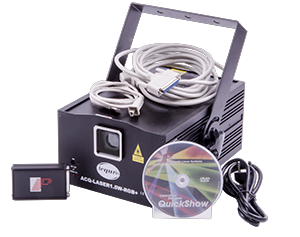 A Powerful kit with our 1.5W RGB laser together with Pangolin QuickShow. With this kit, really cool laser effects can be created. 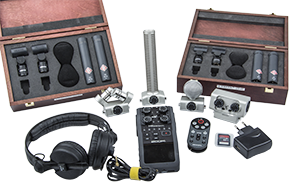 A very well sounding field recording kits that works equally well for symphony orchestra, choirs, etc as well for small intimate recordings. A combination of our 6-channnel pro recorder, Zoom H6 with microphone of choise plus Röde's amazing directional microphone with it's Blimp and a ultralight carbon fiber boom. 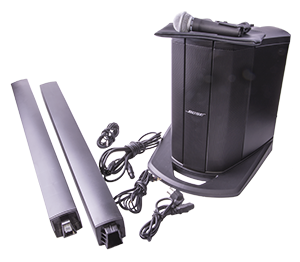 We also included two wireless Samson Airline Micro systems that can be placed on the interview victims or actors. Due to its miniscule design, they are very easy to hide out of camera view. 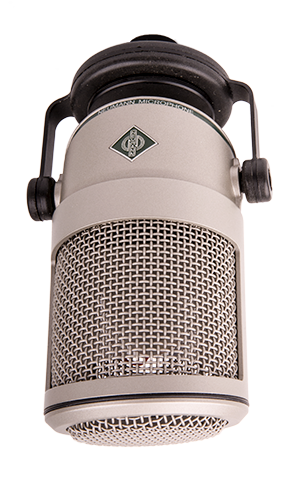 A really good studio microphone, mainly aimed for speech and also Neumann's first Dynamic microphone. Since BCM 705 is adopted for use in for example a radio studio or as an "Voice Over" microphone, it has amoung other things, built-in POP-filters to avoid unpleasent and unwanted sounds that will appear when speaking close to the microphone. 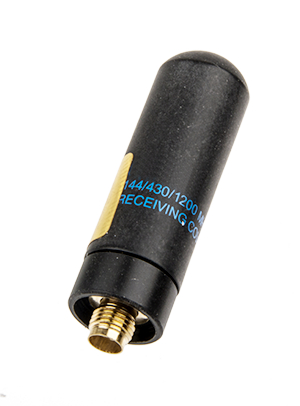 BCM 705 is perfectly siuted for use in for example radio studios, Voice Over Booths, etc or at other places were a professional Broadcast microphone, specially adopted for speech is needed. The little brother to ACQ-VIDLED588CCW. 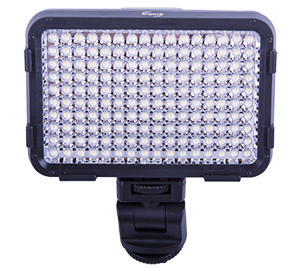 A powerful LED-light to be mounted on top of the video camera or DSLR were half (80) of the LEDs is of so called daylight colored (approx. 5500 K) and the other 80 is so called warm white (approx. 3200K). Fully individually dimmable from 100% down to 10% with the two knobs on the top of the light. Incredible 3420 LUX at 1 meter make the light possible to use as a full replacement of both low energy dayslight bulbs as well as flashes. Holder for the three included filters make the light very versitile. BOSE nye popular PA-Speaker/Monitors is unique in there simplicity to use and place. BOSE call their new technology "Spatial Dispersion" which means that the speaker can be placed nearly everywhere on stage and still give good sound to both the people on stage as well as the audience. For those who don't need a pwerful animation laser, we have put together a package with two of our unique 5 channel lasers and one Haze machine. This kit will really create coool effects, in in large venues. PA kit that include BOSE new popular PA-Speaker/Monitors and an dynamic Shure SM58 with assorted cables. BOSE L1 Compact is unique in there simplicity to use and place. BOSE call their new technology "Spatial Dispersion" which means that the speaker can be placed nearly everywhere on stage and still give good sound to both the people on stage as well as the audience. Sometime we get to manufacture fun solutions for customers. On an customers requests we make a applause meter or "Clap-'o'-meter". In other words, a measuring instrument that measure the sound levels of the audiense applause. We also made it possible to adjust the sensitivity in an simple way. A very well sounding field recording kits that works equally well for symphony orchestra, choirs, etc as well for small intimate recordings. A combination of our 6-channnel pro recorder, Zoom H6 with microphone of choise plus two martched pairs of Neumann's KM184 microphone. 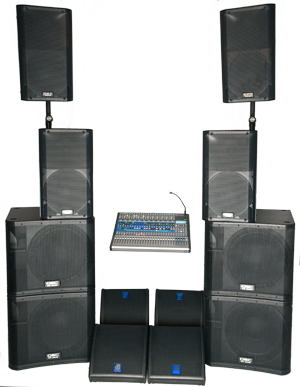 We alo include up to 20 meters XLR cables, remote control, 2 pcs Overhead/Choir stands with stereo mounts, plus more. 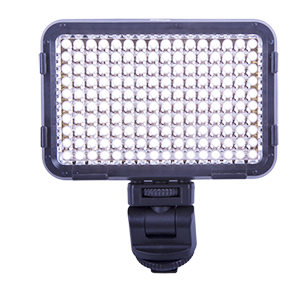 A powerful studio light with LED-technology, including 588 daylight colored (approx. 5500 K) LED's. Fully dimmable from 100% down to 10% with the knob on the back or via the included remote. Up to 6880 LUX at 1 meter make the light possible to use as a full replacement of both low energy dayslight bulbs as well as "normal" studio lights. Four barn doors make it easy to narrow and/or redirect the light. The little brother to ACQ-VIDLED588CCW. 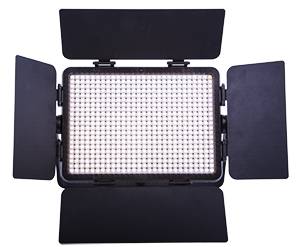 A powerful LED-light to be mounted on top of the video camera or DSLR that have 160 daylight colored (approx. 5500 K) LED's. Fully dimmable from 100% down to 10% with the knob on the top of the light. Incredible 3420 LUX at 1 meter make the light possible to use as a full replacement of both low energy dayslight bulbs as well as flashes. Holder for the three included filters make the light very versitile. 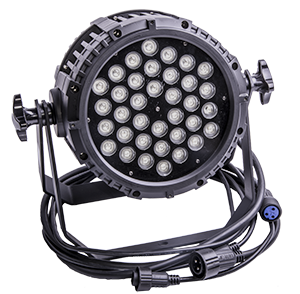 A powerful studio light with LED-technology, including 588 LED's were half (294) is of so called daylight colored (approx. 5500 K) and the other 294 os so called warm white (approx. 3200K). Fully individually dimmable from 100% down to 10% with the two knobs on the back or via the included remote. Up to 5980 LUX at 1 meter make the light possible to use as a full replacement of both low energy dayslight bulbs as well as "normal" studio lights. Four barn doors make it easy to narrow and/or redirect the light. 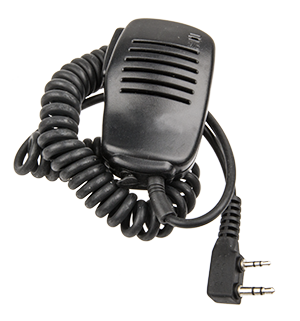 To our own Walkie Talkies ACQ-WT10W, we also have a number of accessories. To simplify the handling and avoid to ha the radio up in the face, we have also a hand microphone as a accessory. 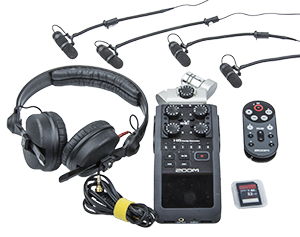 A very well sounding field recording kits that works excellent for quartets, trios, etc since we have together with the recorder included DPS's fantastic instrument microphones. That way a fantastic combination of both closeup mic's and room recording is possible via the included X/Y- or MS-microphones. 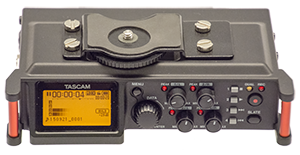 A combination of our 6-channel pro recorder, Zoom H6 with microphone of choise plus four DPA 4099 with mounts for guitar, woodwind, violine, cello, contra piano, drums, etc. 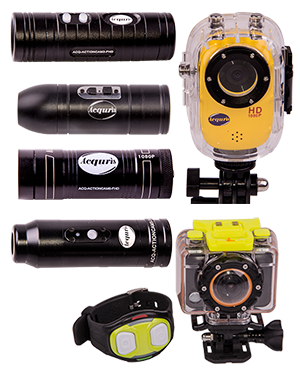 Also included is up to 20 meters XLR cables, remote control, plus more.